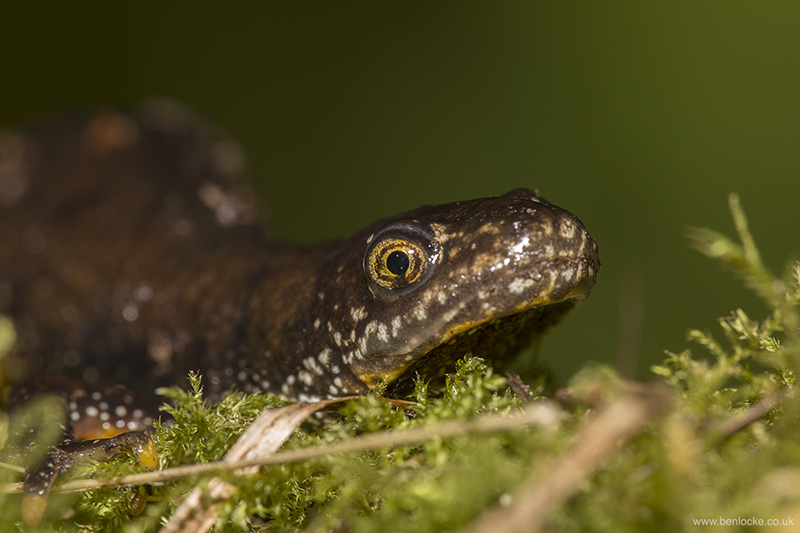 The Great Crested Newt (Triturus cristatus) is Britain’s largest and most threatened newt. The body is generally dark brown to black in colour with a warty appearance, which gives the species its other common name, the Warty Newt. The underside is bright orange with black markings that are unique to each individual. Females tend to be slightly longer than males, and in the breeding season the latter develop an obvious crest between the head and the tail, and a silver streak along the middle of the tail.